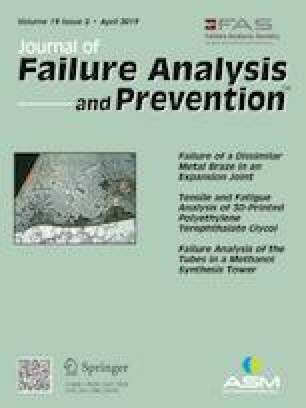 This paper analyzes the mechanical characteristics of the hydraulic cylinder rod and the causes of buckling failure. The structural buckling failure often happens to the hydraulic cylinder rod on the flap institutions during the power catwalk operation. The calculation formula of the buckling critical force of the hydraulic cylinder rod is derived by applying the modified boundary conditions. The formula of moment of inertia of different cross sections is deduced, and the calculation formula of the critical force of the hydraulic cylinder rod with defects is obtained by doing research on the rod with the cylindrical defects. Experiments on buckling of hydraulic cylinder rod were conducted on the basis of the simplified test specimen, and the buckling numerical simulation of rod was carried out by using the finite element software Workbench. Through the numerical simulation, we analyze how the radius, depth, and position of the defect to impact the buckling load. The experimental and simulation results show that the formula is accurate when calculating the buckling load of the defect-free hydraulic cylinder rod, and the variation of the buckling load with the cylinder defect parameters was also analyzed. This work was supported by the National Science and Technology Major Project of China under Grant No. 2016ZX05038-002-LH001, the National Natural Science Foundation of China under Grant Nos. 51275057 and 51704034. We would also like to thank SJ Petroleum Machinery Co. of SINOPEC, who is the industrial sponsor to support the project and the relevant experiments.